Alternate keys for songs by Schubert and Schumann. This CD is specially assembled for mezzo-sopranos, altos, baritone, and basses. Many of the songs are in two different keys. Also included is an alphabetical index of titles, first lines, and poets. 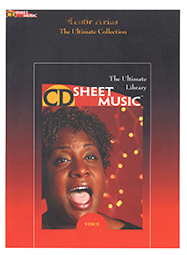 This CD contains over 800 songs on over 2200 pages of sheet music.